Boo Radley is a fictional character from Harper Lee’s 1960 novel To Kill a Mockingbird. He is a mysterious, reclusive man and, as such, the frequent subject of children’s ghastly legends. The manner in which outward appearances and pre-conceived notions can deceive became obvious to Clay when he got to know the ’Boo Radley’ of Carlton, Nebraska. Locals call him ‘Okie Bob’, a hermetic junk collector who feeds a yardful of stray cats. Where does Boo Radley come from? In the classic American novel To Kill a Mockingbird, Boo Radley (whose first name is actually Arthur) doesn’t leave his house or talk to anyone, which leads the children in the novel’s setting (Maycomb, Alabama) to wildly speculate about what he looks and acts like. According to main character Scout Finch’s brother, Jem, Boo Radley is more than six-feet tall with yellow teeth, a scar across his entire face, and blood-stained hands from eating raw cats. Harper Lee apparently based the character of Boo Radley on a real family who lived in a boarded-up house down the street from her during her childhood. 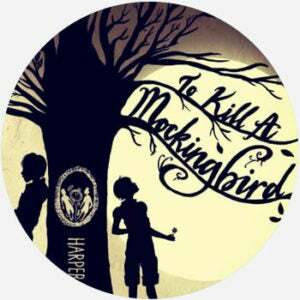 Boo Radley has become an archetypical recluse in American popular culture—and indeed around the English-speaking world, given the success of To Kill a Mockingbird. As such, when a character in a modern story, or in real life, is being ridiculed for staying in or described as creepy, antisocial, or pale from lack of sun, they’re sometimes allusively referred to as Boo Radley. People will also jokingly call themselves Boo Radley when they don’t go outside for a while. Some references to Boo Radley go beyond this surface-level comparison, though, to describe someone as a Boo Radley who is perceived as reclusive but is, in fact, just haunted by some internal or external source. This use is truer to his full character in To Kill a Mockingbird. Boo Radley’s name was also borrowed for an English band, The Boo Radleys, in the 1990s.